Join us at k:SPA this winter to start your luxurious skincare journey, to be the most confident and revitalised version of yourself in time to take on 2019! Here at k:SPA, we offer a wide selection of quality, bespoke and nourishing treatments to enhance your radiance and well-being – such as our range of replenishing facials. Whether you are looking to allow yourself a rare treat before the festivities truly begin, or to surprise a loved one with a memorable and personalised experienced without breaking the bank this season, there is no better time than now to take the plunge, with our limited Christmas promotions here at k:SPA! For December only, purchase 6 of the same treatment to enjoy 2 more for FREE! This is available for any treatment offered here at k:SPA, but why not take advantage of this promotion to enjoy our range of facials? Our Signature Facial – for the ultimate tailored and results-driven experience, making use of innovative technology, professional products, and the highly-skilled, passionate approach from a member of our k:SPA team to achieve your healthiest, most youthful skin, and ensure you feel at your best. Our Signature Facials are individual from start to finish – from establishing your skincare goals, preferences and skin concerns, to customising your 60-minute treatment and aftercare accordingly, to help you reach these goals. 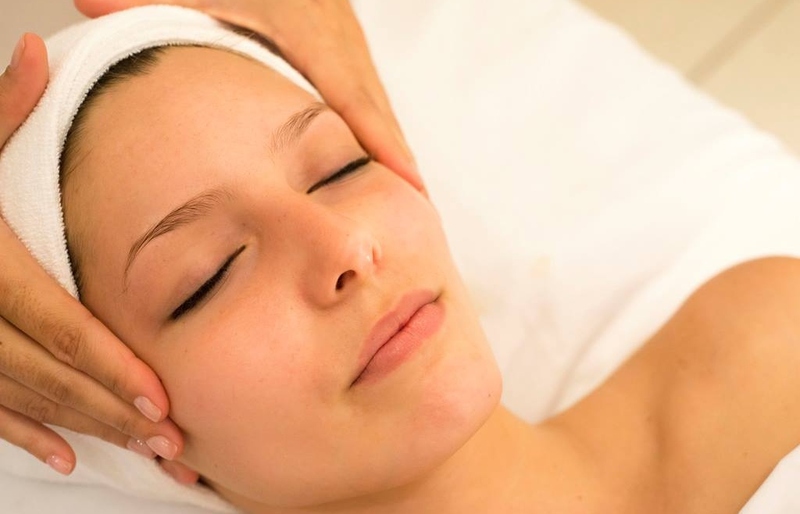 Elements of your unique facial may include: deep cleansing, superficial peel, microdermabrasion, microcurrent, acupressure or lifting/sculpting massage techniques plus much more. Express Skin Solvers Treatments are ideal for when you need some speedy revitalisation in 10 minutes – from giving your skin a noticeable glow with our ‘Flash Glow’ mini-peel before a special event, to perking up dull skin between facials with our smoothing and resurfacing ‘Brightness Booster’. Our express skin treatments are also intended for tackling your immediate skin concerns – such as minimising puffiness and fatigue around the eyes with our ‘Eye Lift’, or providing thirsty skin with a splash of moisture with ‘Flash Hydration’. Dermalogica Facials with ProSkin30 and ProSkin60 are great personalisable options for taking time out for yourself, either to treat a specific skin concern, or for the full works, to soothe both your skin, and your self! If you have limited time or just wish to target a specific skin concern, our 30-minute Dermalogica Facials can help you in a variety of ways – from achieving brighter skin through targeted exfoliation, to replenishing your skin through serums or masques. Alternatively, our 60-minute Dermalogica Facials are ideal for tackling a range of skin concerns, to ensure you are checking every box – from professional double-cleansing, to exfoliation, face-mapping to aromatherapy massage, and many more! Our Microdermabrasion Facials are a speedy, simple and pain-free route to an immediately clearer complexion that improves over time, through our Diamond-Dermabrasion system. These treatments are ideal for tackling the likes of fine lines, coarse texture, and scarring – plus a range of other age-related skin concerns – through the exfoliation of dead skin cells, the deep cleansing of pores, and the stimulation of blood flow and collagen production, in a 30 or 60-minute session. For best results, we recommend a course of Microdermabrasion Facial treatments with weekly intervals. To find out more about our Facials In Hants, treatments and other luxury experiences offered here at k:SPA, please feel free to get in touch with our friendly and passionate team, by calling us on 014898 80497, emailing us, exploring the rest of our website, or visiting us in-store! 12 Gifts of k:SPA. Day 1: Facial and a month’s worth of products!